This is a super fast and simple dish that we have for lunch fairly often. The night before while I am making I go ahead and cook the chicken and shred the lettuce so the next day we just have to put the salad together and have a good lunch that is really quick. Heat some olive oil in a skillet and cook chicken. While cooking the chicken sprinkle with house seasoning. I then cut it up in to bite sized pieces and store in the refrigerator. Tear and wash the lettuce. 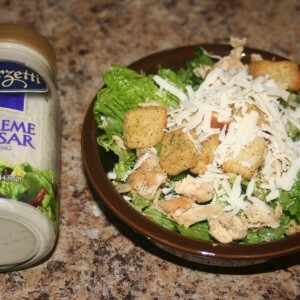 We top with the grilled chicken, croutons and grate some parmesan cheese on it. 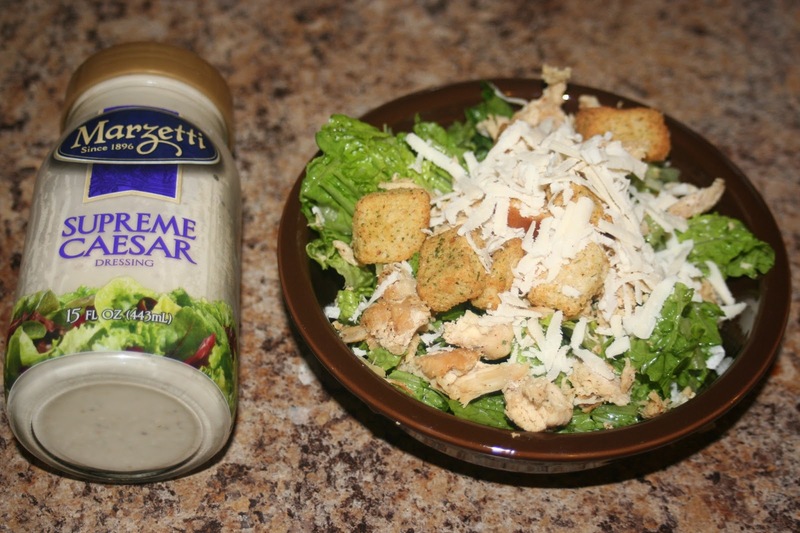 For a store bought dressing the Marzetti Supreme Caesar is pretty good. We have this lunch A LOT in our house during the summer time.